During the middle ages, precious Jewels were some of the most sought-after items in the world. Even small stones of ruby, emerald, and gold were valuable during this time. Today's world is hardly different; a woman's wedding ring, a bar of gold, or a sparkling sapphire are prized possessions to those who own them. Because of this, jewels have always been well protected. Certain diamonds, like the Hope diamond, is guarded 24/7 by untold numbers of various electronic or human defenses. 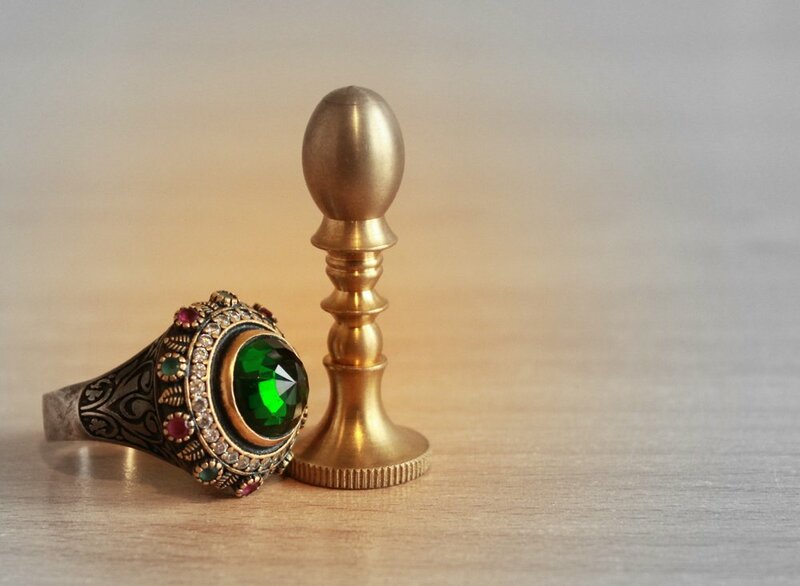 Just as in the real world, so to do chess kingdoms contain a very special jewel. Have you ever considered your king on the chess board as a jewel? The kings of both armies are the most prized possessions in their kingdom; and, rightly as such, are highly guarded most of the game. Ever since the beginning of their studies of chess, each young chess player is taught to tuck his king away into safety right at the beginning of the game. However, what is less known, but so important, is the need to bring the king into the action after the threats to the monarch die down. When, where, and how you should bring the king into the game is an art unto itself. Sure there are the basics, bring the king in at the right time to the right place; but, is it so simple? No! Careful forethought on when to enter the endgame and what to do when in it should be closely examined. There are three considerations you must take into account before entering an endgame. It is well known that an active king vs. an inactive king can win or lose the game easier for a side, so how can it be made sure that we get to activate our king, and how can we limit our opponents from achieving the same aim? WHite to Play: What's best? It is pretty clear both kings look ready to join the battle. If black wants an easy draw, on the next move he should just trade rooks and the bishop endgame with equally active kings should be trivial. However, to the trained eye, this position is going to be desperately difficult to draw with the black army. Why? Here is the problem for the captain of the black forces. How is he going to get his king out quickly? White will play 46.Kf2 and we see the pickle black is in. If he advances his king, say 46...Ke7, the White plays 47.Rxf7 Kxf7, and White continues to advance. Black cannot answer because he has to move the g-pawn out of the line of fire of the b2-Bishop. By the time he has moved the g-pawn, white advances again and is already on d4. He will not be stopped from reaching a5. After the bishop comes to the attack as well, the a5 pawn is lost, and likely with it, the game. That's why black chose 46...Rxf3 47.Kxf3. Again, the king cannot join the battle! After 47...g6 48.Ke4 Ke7 49.Kd5 and black is toast; the a5-pawn is a goner. What is the moral of this story? Any time you evaluate the endgame, assess the preparation you have in place to bring the king in at any moment's notice. If you realized you aren't prepared and your opponent is, PREPARE! Move the pawns out of the fire, make everything safe before trading into the endgame. Conversely, if your king has the ability to immediately join the game and your opponent doesn't, TRADE! Sadly, just because the position would be classified as an endgame, doesn't mean just go activate the king! Certain endgames, rook endgames, in particular, don't always feature two centralized kings fighting for control of the other's territory. More often then not, the kings stick to the defensive structure of their pawns. Often on the side with the advantage, kings place themselves in positions like the diagram 2. If White's king were to trek to the middle of the board in the future somehow the kingside pawns might just fall. If they can be defended, the black rook might instead busy itself with checking the king to kingdom come. After the king is driven away, the rook will again take up a defense post until the king comes to a threatening position somewhere again, and the whole process repeats. No win for the better side. Now as to how to win this position, I will leave it to the third king activation rule: how. This type of king activation is only possible with the supporting roles of his rook and pawns. The "how" section will discuss the importance of bringing in the necessary reinforcements to the king when needed. So often a king cannot do it alone, and so each piece must be doing its part to allow for a successful monarch march. If you realize that your king will be under serious duress if he enters the game, and you cannot win without an active king, avoid the endgame! If you understand that you can keep his king out from where it needs to go, maybe you should jump in ASAP! If the king cannot perform a helping role when activated, understand you should not do so. Ok, I got this, this is an easy one! Move the king to the center of the board and you will win. Right? Wait...No??? If the above is you, don't grieve, this article was meant for you! When I say one would be wrong to consider moving the king to the center of the board is wrong, I don't mean it's wrong! In fact, I think the center of the board is where you should aim to bring your king most of the time! But here is the problem: firstly, that is not always where your king needs to go! Secondly, and more importantly, when one says the center is where the king belongs, they are missing the main point behind the principle: the king must be where the action is. So very often, kings belong in the center as we shall soon see. However, sometimes moving the king to the center of the board is a fatal mistake. There are three places to avoid with your king, and if you avoid those, you will drastically improve your winning or holding chances! Which way Should White's King Go? Most every endgame your king needs to escape the back rank in order to lend help in winning the game. The king IS a warrior, the king IS fighting piece. Use him!! If at the very least you move him to the #2 place to avoid or even better the #3 place to avoid, he will be more useful there than on the back rank. Not activating the king is an obvious no-no. This seems like a basic topic, but time and time again I see so many people neglect king development altogether. It never works to do so. To help explain, let's consult one of Alabama's finest, CM Stephen Graveling. Graveling is not known for attacking, and neither are endgames. So what happens when you combine a non-aggressive player with an endgame when the opponent neglects to develop his king? A total demolition! In the diagram beside, we see black has got his king stuck on the back rank. This in itself is bad, but combine it with black not stopping white from activating his own king and you get a quickly losing position. White played 1.Kf3! This is excellent because the king must be developed. He is developing towards the center since that is the default position for the king, but the center would be a useless place to go, there is nothing there (see #3). In reality, he is going on the offensive to a very dangerous location. 1...Nf1 2.Be6 (avoiding the Nd2+ fork) Nd2+ 3.Kf4 Nf1!? (What is he doing down there?) 4.Kg5!! The whole point! White plans Kh6 and either Ra8# or Rxh7 winning all the k-side pawns. 4...Rb5+ 5.Kf6 (Not Kh6?? Rh5#) Rb8 6.f4! After this move, the threat is Kg5, Rb5+, f5, gxf5, and Kh6! winning via mate or something similar... 6...Ne3 7.Kg5 Re8? 8.Kh6! Nf5+ (not Rxe6, Ra8 and mates) 9.Bxf5 gxf5 10.Rxh7+ Kg8 11.Ra7 Re6+ 12.Kg5 1-0. Black to Play; What's Best? We know we need to activate the king. But why not always just run him up the board to eat all the enemy pawns? Sometimes when the king is too far up the board (forward) then he can be shut out of the action in a similar sense to being on his back rank. In this relatively simple example, White's king is totally too forward. Sure, he looks to be going up a pawn in the near future, and we know that leading by a pawn in king-and-pawn endgames is often decisive, here, because of a simple tactical idea, black proves its the white king that will lose the game for him. 1...b3!! 2.axb3 (cxb3 3.a3) c3!! 3.bxc3 a3! and black promotes. It isn't that white's king wasn't active, it was, but it was more that it was too far forward to catch up to the action happening behind him. If the king finds himself thrust so far forward that he allows action to happen behind him, he is considered to be forward. If you find that your king is forward, then with all haste bring him back to the center or where ever the action is happening!! Which way should Black go? Ok, now before you go all over me and commenting that I am an idiot and that every endgame book ever says to bring your king into the center, I acquiesce. Yes, the king should so, so often be brought to the center of the board, but the reason why I bring this up because the mindset we bring to an endgame is, "I need to get my king to the center." In reality, our mindset should be, "I need to get my king INTO THE ACTION." This difference is HUGE! It is so easy, and I have done it myself so often before, to fall into the trap of, "my king can reach the center in this endgame, so it must be good for me." When calculating far variations in your head and trying to evaluate an endgame, it could be easy to miss that the king can't actually help at all in the endgame. It might can get to the center, but that is it! If it can't get to where it needs to go, then a king in the center of the board is just a potted plant. Here is the reason why we are told to bring our king to the center: the king is the most flexible there. The king can (relatively) quickly get from the center to wherever the action develops. If it develops in the center, great! If it develops on the kingside, he can go right back. If it develops on the queenside, he is already halfway there and can reach it quickly. However, as you become more advanced, you can't break the king activation steps up. You can't always get away with #1. Bring the king to the center, #2. Start attacking with your king. Sometimes it is too late, we have to decide on a final destination and a target as soon as possible. We must change our mindset from, "center then attack,"to, "how do we get our kings into the action." Let's demonstrate with a famous game from Akiba Rubinstein. One of the strongest grandmasters of the early 1900's, Rubinstein was naturally very strong at the endgame. Here, he shows phenomenal technique to win this beautiful game. Our first question, if we are black, should be, "How do I win?" Good question! To do so, it is quite important to find targets for the king to go after. Rubinstein answered this question beautifully with 1...Kf6!! Black is not interested in bringing the king to the center. Rather, he is interested in bringing his king into the ACTION! He found a target and wants to sniff it out. He is planning on heading down to h3. From there, he will push forward and hopefully trade off all the kingside pawns. Once this is complete, he will march his king over to the queenside (unstoppable if white's king is stuck on the back rank from having to defend h2) and he will win. The rest of the game is given without note, but it is one of my favorites and is highly instructional. If you want to improve your king-and-pawn endgame skills, read through this game and study it! The previous three places to avoid with your king all have one thing in common. Each place doesn't place the king in action. If you want to win, not only do you have to time your king advance correctly, you must advance him into the action! Not only must you advance your king to the correct destination and at the right time, but sometimes activations look nothing like your typical activation. This topic is much more highly advanced and I could spend countless blogs devoted solely to this topic. Chess is a team game, and activating your king, and bringing it into the action is nice, but you have to proportionally activate and include all of your other pieces. Learning how to do so is an art; and, mastering the "how" truly sets apart the "men from the boys." I will not go into this section too deeply because it is a bit advanced for this article, but I must include it because it is just that important. The game (as I promised above) I will annotate for you is my own concoction; but, similar games (i.e. being up two pawns in a rook endgame) occur all of the time. Use this game to memorize the principles behind my ideas and then apply those to similar games. Let me show you two versions of (how-to and how-not-to play) this endgame. Study the differences, learn to spot those in your and your opponent's game, and master them in practice, and you will soon become a strong technical endgame player! The position you see here is a familiar one (I hope!) I discussed it when I mentioned that you shouldn't always bring your king into center after the middle game. So whats the big deal with that, why not?? Now that's a fantastic way to blow an easy win! The king tried to do it all himself, but the opposing rook kept him in check. White should have known about the powers of the rook (as you now know) and should have kept his king a bit safer. The correct way to finish black off is demonstrated below. For your convenience, I have placed the exact same diagram as above here. The correct way for white to win is to move with his pawns. It can still be tricky not to expose your king too much in this type of endgame, but it can be done! There are three simple steps in winning this position. (1) Get a passed pawn. (2) Bring the king forward and drive the opponent's back. (3) Push the pawns homeward! 1.f4! It's time to get step (1) underway! 1...Kg7 2.f5! gxf5 3.g5!! Very nice. White knows the doubled pawns will not stick around. He is concerned with mobilizing his pawn majority. The f5-pawn will fall soon enough. 3...Rc5 4.h5! Now the black king has no further activation squares. 4...Re5 5.h6+ PPMBP (Passed pawns must be pushed!!) 5...Kh7 (Kg6? 6.Rd5+ Kxg5?? 7.f4) 6.Kf4 Ra5 7.Rd7! Look at how active white's king and rook are compared to their counterparts! 7...Kg6 8.Rd6+ Kh7 9.Rd8! White is concerned only with activity instead of material! White could have played Rf6 winning the f5-pawn and the game, but this way is prettier! 9...Rb5 10.Rf8! Kg6 11.Rg8+ Kh7 12.Rg7+ Kh8 13.Rxf7 1-0 f5 falls, and so black's hopes at a draw as well. The win is straight forward. White will just advance his pawns, and black will not be able to stop. The threats of back-rank mate and of promotion stop black from even a fighter's chance. We have been taught to bring our kings to the center of the board ASAP when the middle game finishes and the endgame begins. We are rarely taught exactly when that prime moment comes and what we should do with it, rarely taught that we shouldn't just attack with our king and win because of him, and never taught that we shouldn't always bring him to the center. I hope this blog has shaken up your thinking patters on this phase of the game. If I can impart one word of wisdom it would be this: bring your king into the action rather than the center; and, use your pieces and pawns as you activate your king. If you follow these simple rules, memorize them, and practice them, soon you will be on your way to chess mastery!